If you're looking for a theme for elementary school there is no better place to start than with character education. Teachers love what they do, who they teach, and the vision of what potential their students will have because of their education. Along the way, many important character education values can be taught. These are the moral qualities that will turn young people into responsible and trustworthy citizens. An elementary school teacher may turn to a theme to begin sharing many of the messages that lead down this path to success. Teaching and building strong character during the early school years will make stronger adults in later years. Effective teachers offer young students observations about all the opportunities available to them. They reaffirm the results that a positive attitude can bring. And teachers with a theme that supports character building initiatives, are the early motivators responsible for good citizenship qualities. It's often not enough to just observe the world we live in. We depend upon our teachers and parents to help instruct children about becoming the best they can be. This is not an easy task and there are many competing events that capture their attention. Not all of them are positive. A theme for character education can emphasize important values that are shared by all. And your theme can be incorporated into classes or assemblies or any other school activity. The theme can drive hallway messages on bulletin boards and dictate classroom activities. Teaching children about appropriate responses to critical situations is about teaching real life lessons. Being able to make the right decisions when necessary is crucial. It is one of life’s important lessons that we must all be taught, often referred to as elementary education. Character development actually begins at birth and is influenced forever through our constant exposure to both positive and negative messages. There are many approaches that can be taken but using themes for elementary school classes is an effective way to enlist the interest of students at an early age in an important topic that will affect them forever. There is a wide choice of approaches to teaching character education. 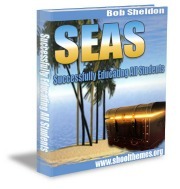 Teachers can use a themes with great success. You have their attention, you have relevant, important subject matter... so now it's all about organization and presentation. Your theme will provide specific observations for children to discuss, think about and explore. 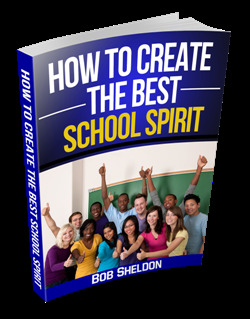 Your school theme can cover lots of aspects of character education. You can begin with morals, attitude, character, integrity, responsbility, kindness, etc... and move to additional related items such as... mood, temper, personality, reputation, emotions, habits, honor and so on. These are steadfast and constant quality character traits that can be shared in every classroom. It's all about finding effective ways to present your material and ensuring students have an opportunity to judge the importance of their character education. We all know children can be difficult and test our patience but for every child that learns a solid moral base through quality character education instruction, the world becomes a better place. Use a theme for elementary school classes to make this important instruction strong and memorable. 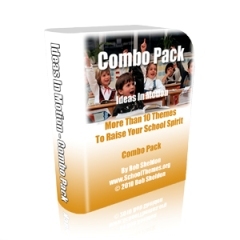 Leave Theme for Elementary School and Get Your School Theme!